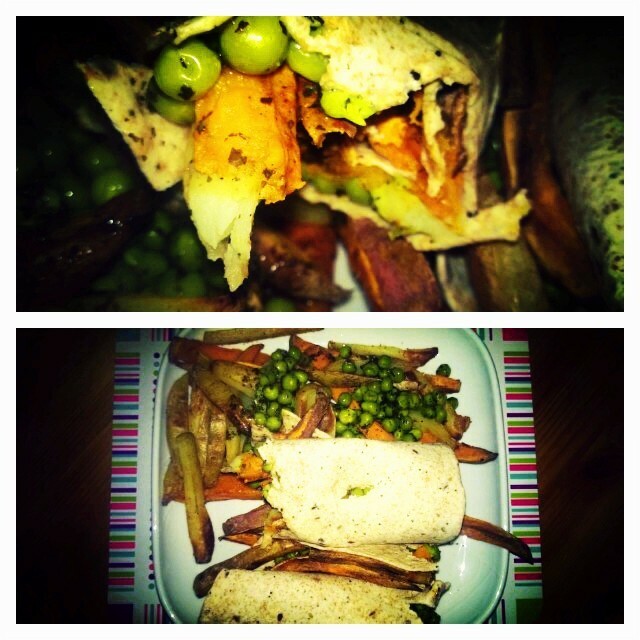 Vegan High Carb Seeded wrap and Potato with Mint Peas. 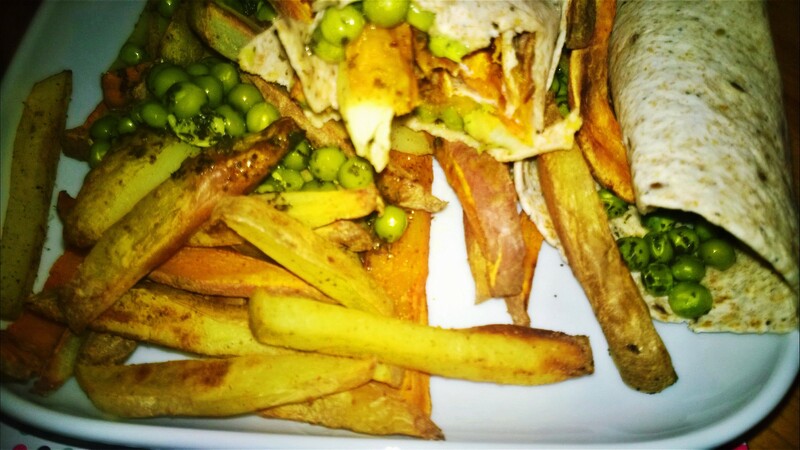 February 4, 2015 by AdoremydietLeave a Comment on Vegan High Carb Seeded wrap and Potato with Mint Peas. 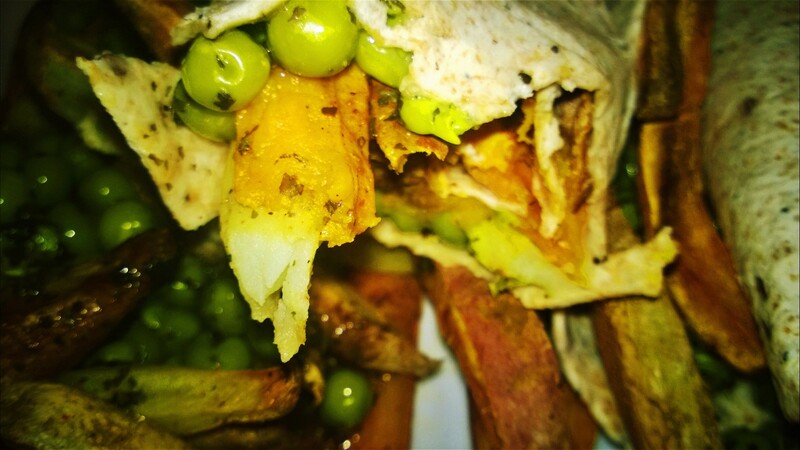 This was really delicious, I minted the peas by using mint sauce but next time I will be making them by using mint leaves or even dried mint herb! 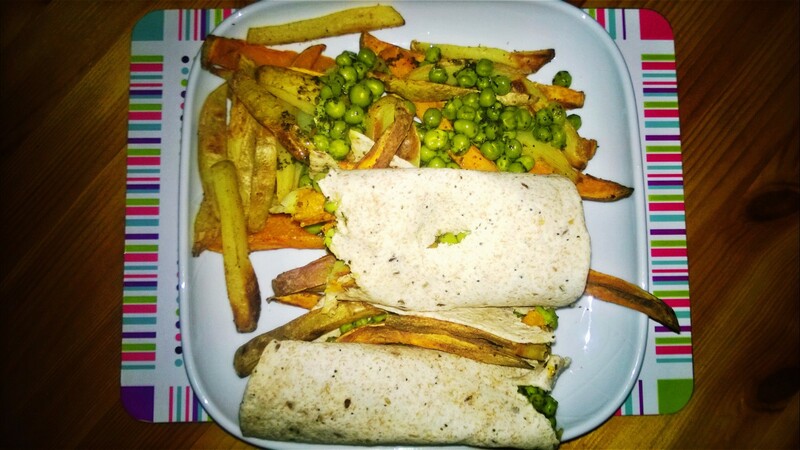 I used a mixture of sweet and white potato, it was super filling and I made way too much! I roasted the potato’s in lemon juice and straight into the oven for 35 mins on a medium through to high heat, for the peas I used frozen and blitzed them in the microwave then smothered them in a tablespoon of mint sauce. Mmm! 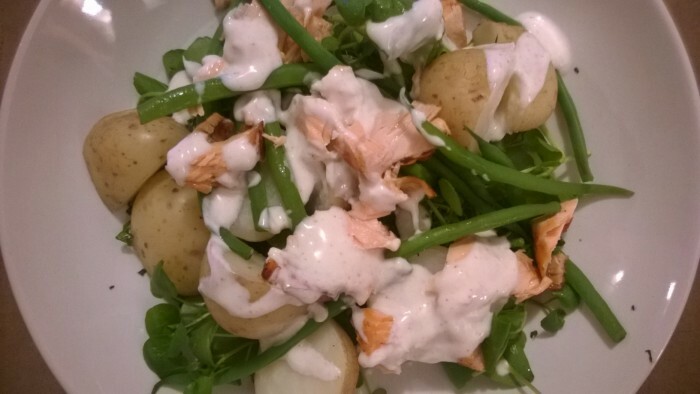 Roasted salmon salad with green beans, watercress, potatoes and a lime sour cream dressing. Make the sauce by mixing the lime zest, juice and sour cream in a bowl with a pinch of salt and pepper and that is it, you are nearly done! 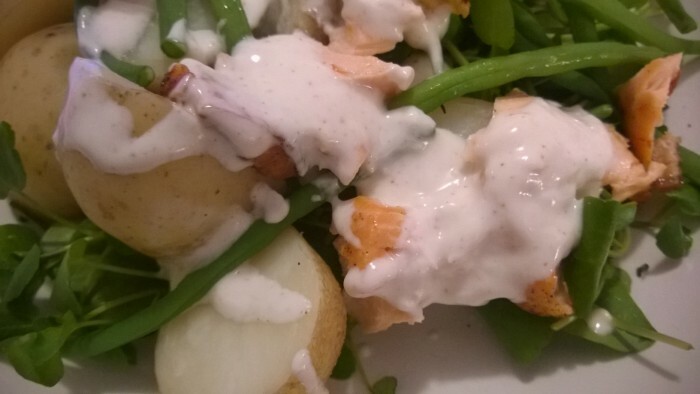 Lay the watercress on the plate first, then add the potatoes on top, next pop the green beans on and flake the salmon over with the sour cream sauce drizzled on top! Was very yummy and I enjoyed it a lot, the lime made it taste so fresh! 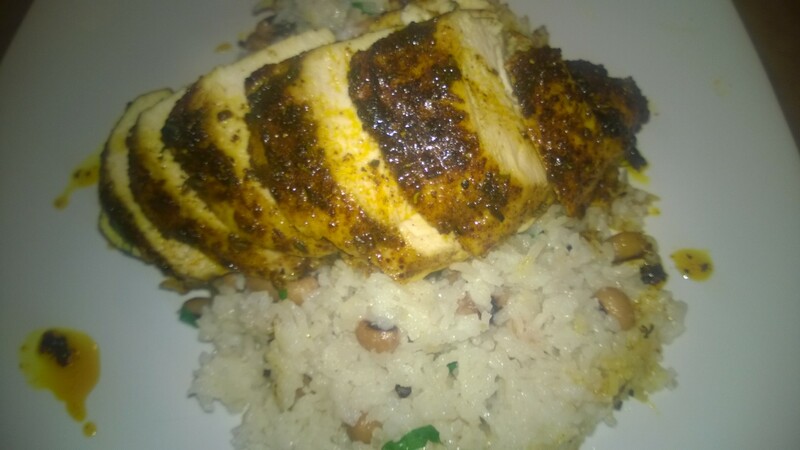 Pan Roasted Jerk Chicken with Rice and Black Eyed Beans…. 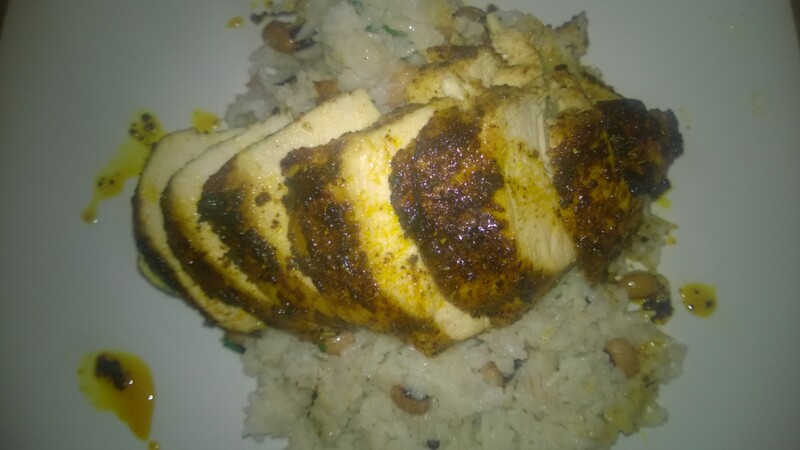 October 1, 2014 by AdoremydietLeave a Comment on Pan Roasted Jerk Chicken with Rice and Black Eyed Beans…. 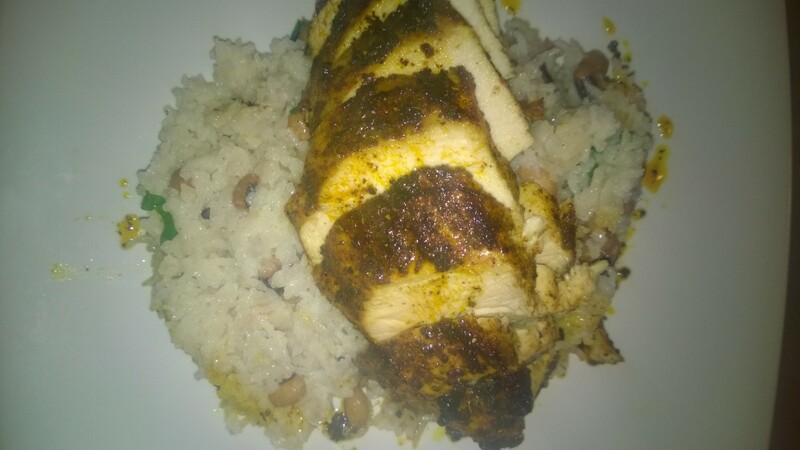 This was gorgeous, the chicken was so moist being that it was cooked in the juices (the chicken was marinated using jerk seasoning and a dash of olive oil then left in the fridge overnight). Pan roasting the chicken is a great quick way of cooking chicken but making it moist by keep on basting the meat with the juices, you need not add any more olive oil. Next the rice was put on to cook, now instead of using water get yourself a can of (Amoy) coconut milk, using that instead of water makes the rice oh so creamy and delicious, pop in a small can of black eyed beans after the rice has been cooking for about 5 minutes. 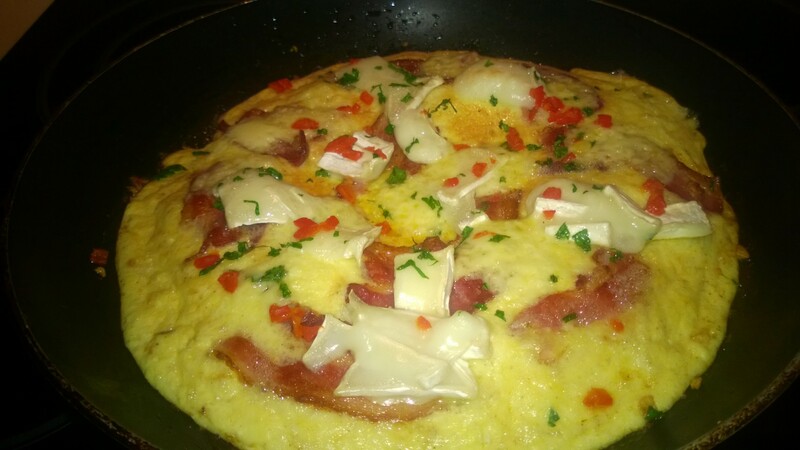 This is loosely based on the Jamie Oliver recipe for his roasted chillies frittata, (http://www.jamieoliver.com/recipes/eggs-recipes/roasted-chilli-frittata) I added streaky bacon and goats cheese to make it into a really yummy dinner. 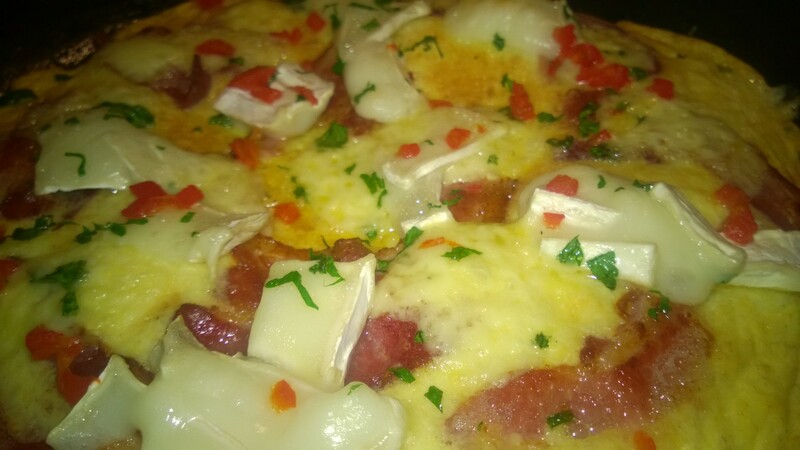 It was like having a mini pizza, was lovely and I really do love eggs in every form, the streaky bacon may not be the most healthiest part of the pig but I just could not resist! 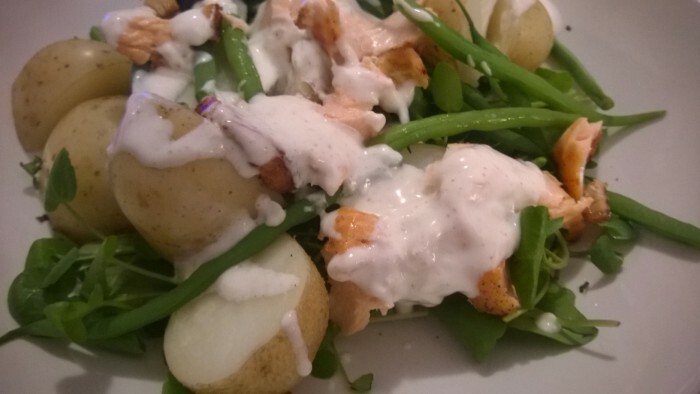 It really went down well with the hubby too which is always a win! 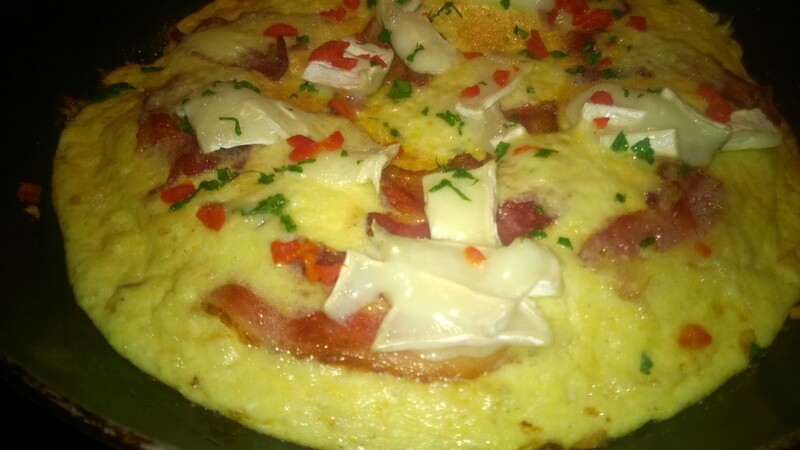 So all in all for this streaky bacon and goats cheese frittata I give it a resounding 9/10!